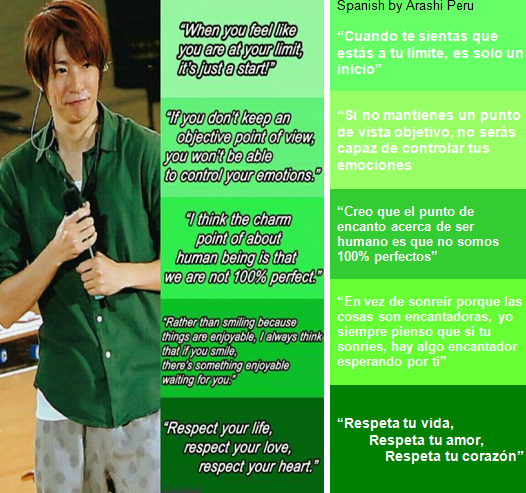 [ARASHI FACT] LAS PALABRAS QUE NOS DAN ANIMOS DE AIBACHAN / THE WORDS THAT KEEPS US IINSPIRED BY AIBACHAN ~ . Thank you to http://arashianeel.tumblr.com/ for collect these inspirational words from Aibachan. Words that makes you understand that to be happy is always up to you. You need to see the wonderful things around you. 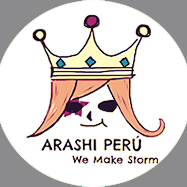 Gracias a http://arashianeel.tumblr.com/ por juntar estos mensajes inspiracinales de Aibachan. Palabras que te hacen entender que para ser feliz depende de ti. Uno necesita ver las cosas maravillosas que están a tu alrededor.